Will Church of Peace adopt the United Church of Christ’s Open and Affirming Policy? The church council has authorized a task force to examine this question. The task force will gather information and share it monthly through “The Visitor” and other formats as appropriate. There will be a question and answer session in the fall, then, if the congregation is willing, a covenant statement will be crafted and presented to a special congregational meeting for approval. Please read the information shared by the task force so that a clear understanding of the Open and Affirming proposal can be gained. Members of the task force are Emily Young, Sylvia Elliott, Alex Fischer-Oelschlaeger, Ed Johnson, and Rick Sederquist. “Open and Affirming” (ONA) is a movement of more than 1,200 churches that welcome lesbian, gay, bisexual, and transgender (LGBT) members. More than 275,000 members of the United Church of Christ belong to ONA congregations—and our movement is growing. The word “covenant” was a deliberate choice: with roots deep in the Reformed tradition of Christianity, a “church covenant” is an affirmation of basic values in response to God’s call to the congregation. In 2010, new standards were adopted that require an explicit welcome to the transgender community. 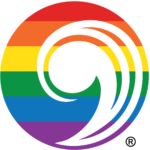 Since then all ONA covenants certified by the UCC have included a welcome to persons of any “sexual orientation, gender identity and gender expression” or equivalent wording. During the time of study, dialogue, reflection, and prayer, typically, churches will explore the teaching of scripture, contemporary perspectives on sexual orientation and gender identity and expression, the psychological and spiritual consequences of homophobia and transphobia, and the testimonies of LGBT members and neighbors. The final stage of an ONA process is the adoption of a written covenant at a congregational meeting or by the church’s governing body. In addition to an explicit welcome to LGBT persons, ONA covenants usually include theological and biblical premises and extend the church’s welcome to other communities historically excluded or marginalized by the church.